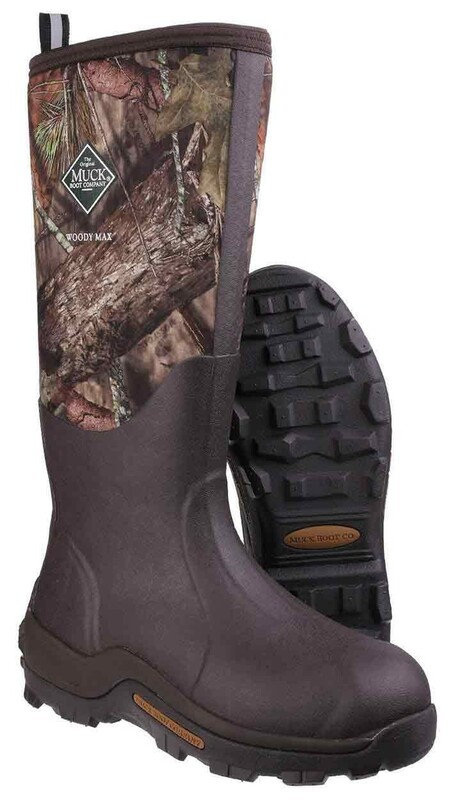 Camo field boot that's rated down to -40! This warm boot has kept hunters toasty for nearly a decade with a 5mm CR Flex-Foam fleece liner with the added 2mm thermal foam under foot. Its a proven combination at frigid temperatures embraced by hunters on the stand and in the blind. 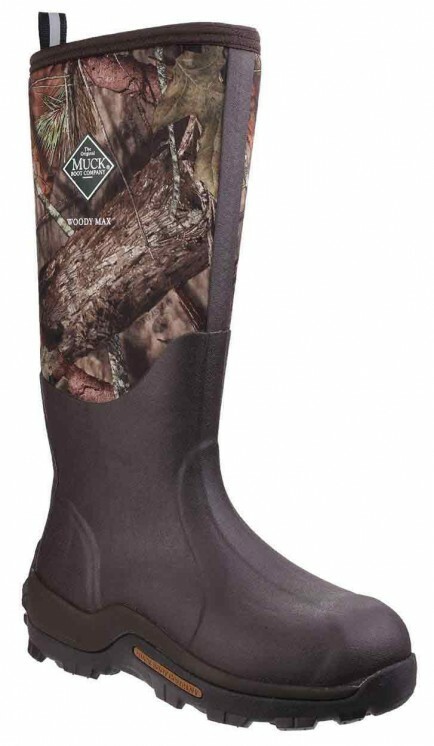 The Muck Boots Woody Max Cold-Conditions Hunting Boot Mossy Oak Break-Up Country features: Warm Fleece Lining, 2mm Thermal Foam Under the Footbed, 5mm CR Flex-Foam, EVA Contoured Moulded Midsole, MS-1 Moulded Outsole, Comfort Topline, New Camo, Temp rating -40C to 4C. Upper: Rubber/Neoprene, lining: Warm Fleece, sole: EVA.